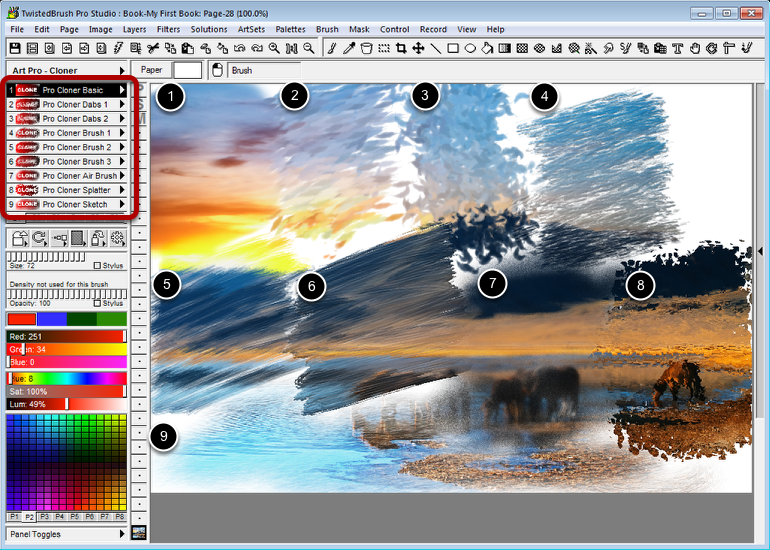 Image cloning allows you to pull contents of an image into another image as you paint. This will make this page the source for all cloning brushes. 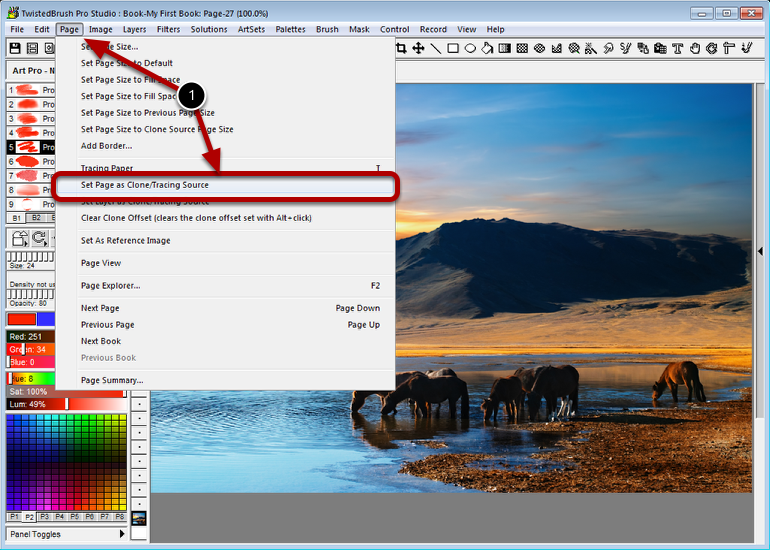 A cloning source can also be set from within the Page Explorer. Move to a new page where you will work. Here are samples of 9 Pro Cloner brushes. Once the cloning source is setup, using a cloner brush is just like any other brush except you don't select colors. Pro Cloner Basic. This is a basic cloner brush that is used without doing any special effects and would be commonly used for photo work.